SKU: 8896. Categories: Shop All ThinLine Products, Endurance Saddle Pads, Western Saddle Pads, Western Horse Tack, Horse And Rider Tack, Seat Makers, Rider Tack. Tag: western saddle seat saver. The ThinLine Western Seat Maker is a game changer! It is an incredible tool for your riding. It is so thin and effective you will forget it is there … until you take it off! When we developed the ThinLine Seat Makers Horse Riding Seat we thought they would be a great way for riders to discover just how much a ThinLine pad does for their horses. We had no idea, at the time, how much this little tack accessory would impact so many riders. Of course, protecting riders backs from the daily impact we experience is important but then we began hearing stories about how, with the seat maker, rider’s seats became so quiet and stable they were able to exponentially improve their equitation as well as their sense of security. Once removed for the show ring, riders have a new understanding of how still, sensitive and communicative they can be with their horses. Try it for yourself. We have a 30-day money back guarantee. When you remove it, you will understand just how much it does for you. Rider Comfort – eliminates or greatly reduces lower back pain. Improved Equitation – reduces bounce and excess rider movement. A sense of Safety – offers radical stability in the saddle. Rider Performance – gaits are easier to sit. Balance – Crooked seats can be relieved by adding an insert under the seat saver. Type a note in the box during checkout – Send free balance insert. ThinLine Seat Makers: Lightweight, breathable, seamless, cool and virtually invisible. “I purchased my dream horse this year. He is an incredible mover. But I never had the opportunity to ride such a horse so I was constantly feeling like I was doing him a great disservice with my seat at the trot. Afraid that I was going to ruin this magnificent animal, and having always been a ThinLine fan I decided to give this seat maker a try. All I can say is thank you ThinLine. I have regained my confidence. I am able to sit his gaits. I remove the seat maker about once a week to check my fitness and flexibility. I am not yet to the place where I can be as stationary without it as I am with it. I plan to always keep this item in my tack box. It is a jewel.” Beatrice Buckhead – Third Level Dressage Rider. 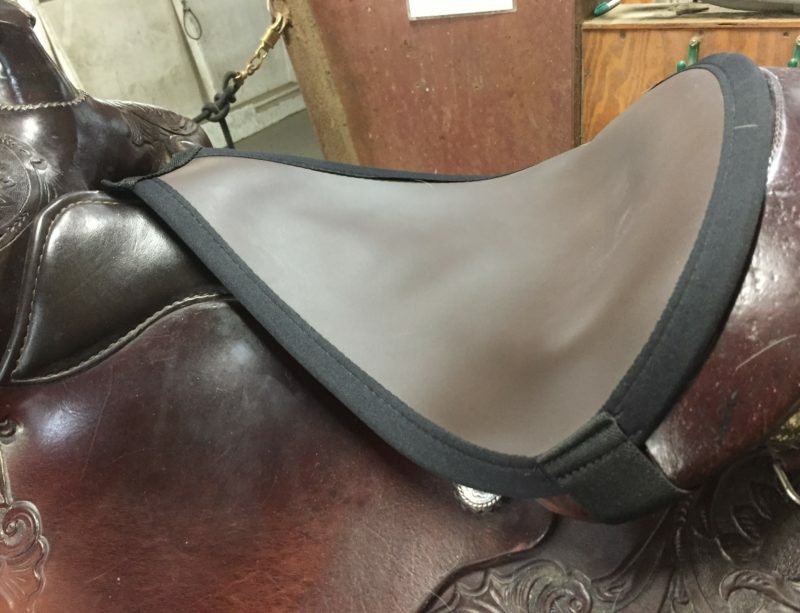 Western Saddle Seat Makers Pad are the thinnest of all ThinLine products. It is a fantastic way to see for yourself how so little can do so much, for both you and your horse. 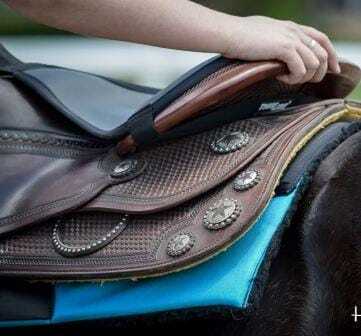 Riders who weigh 225 lbs and more will experience optimal shock absorption with a combination of Seat Maker and Saddle Pad and we highly recommend these riders and their horses enjoy our products to the fullest. Care Instructions: These seat makers don’t require washing. If you choose to do so, we recommend ThinLine Cleaning Products (wipes or sprays) or baby wipes. When I tried this seat saver i was expecting what i am accustomed to, a thick sheepskin seat saver. When you first sit on it you think you have purchased nothing. You cannot feel it right away. But, after hours in the saddle neither my seat bones nor back were sore. Best yet, there is no bulk. So don’t let the first impression of historical seat savers dampen your enthusiasm. It is great. I am a returning rider looking for comfort for my aging back and neck. This seat saver is easy to use and adds almost no weight or bulk. I really like the idea that it is helping both me and my horse. Best of all I can still feel my horse’s back and it seems like it is encouraging him to round up under me. 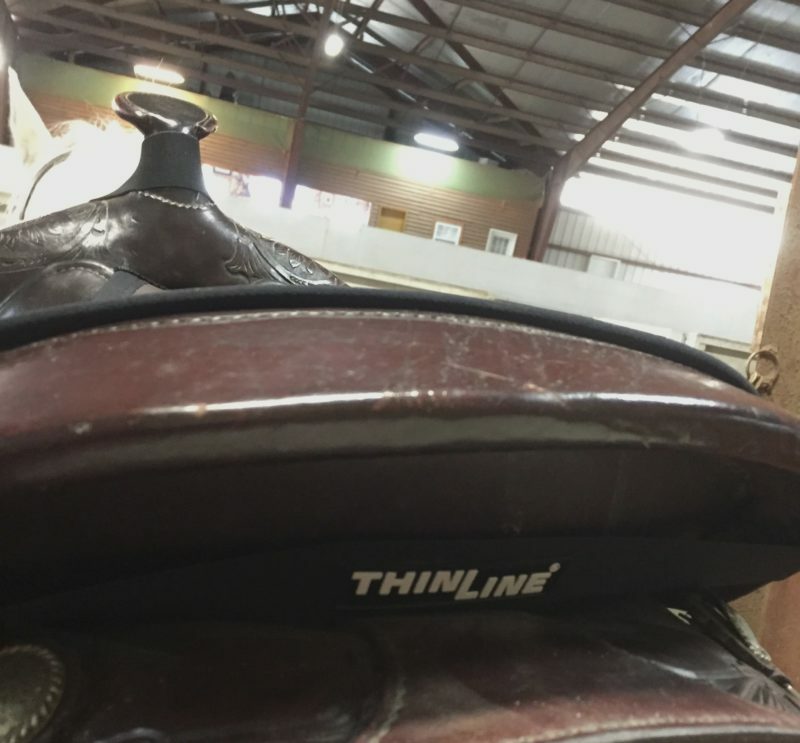 Thinline has made returning to horse back riding possible with greater comfort. I have a disc injury from a fall a few years ago. For several years, I couldn’t ride due to the resulting pain in my back, neck and legs. I switched from english to western, hoping it would be less impact, but still found myself in agony after a fairly easy ride. I purchased this seat saver to see if it would help. I used it yesterday on a four hour trail (mostly walk and some trot) and I am thrilled to say my back doesn’t hurt at all, no nervy/disc pain. I can’t express how optimistic I feel about riding again! I purchased this pad to use on an old, very hard seat roping saddle that caused very bad lumbar back pain with each ride. My riding was suffering because I was finding myself trying to do anything I could to ease the concussion on my back when I was riding my horse. So after reviewing several pads looking for one that wasn’t bulky, one that wouldn’t slip with maneuvers of roping events or barrel racing, and one that would ease pain, I chose the ThinLine pad. When I received it in the mail my first thought was there was no way this would do anything to stop the concussion on my back when hitting a hard stop or working my horse… boy was I surprised the first time I used it!!! It was great, I hit a hard stop and braced for the ouch, but nothing! No pain, wow! This pad is awesome and to top it off you don’t even know it is there, no slipping, no bunching up its fantastic! I would recommend ThinLine products to anyone. I was actually sold on this pad first through my feet…I used the shoe insoles that were sent to me with my pad purchase before using the pad on my saddle, and felt immediate comfort. 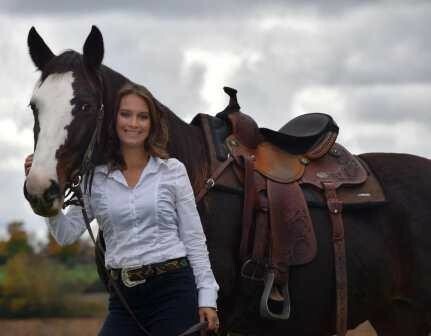 I have since used the pad on my western saddle daily, and have truly noticed a difference in my riding comfort. I have had two significant back injuries, and even my sheepskin saddle saver didn’t help me as much as your pad. Thank you for an excellent product. Just purchased this pad about a month ago. Been riding in it several times a week. It is very thin so I was skeptical. I have had some piriformis issues with my seat bones and needed a solution. This pad has a stabilizing effect so I feel more secure. I am pleased with less bulk and 58 I want security and comfort and this pad fills both of those objectives. I bought the ThinLine Seat Saver for my barrel racing saddle. I’ve had 3 back surgeries and have severe hip problems. I thought my writing career was over until I rode in the seat saver. It has made all the difference in the world. I wouldn’t be able to ride without it. It absorbs all the concussion from the horse and I loved it so much I bought the liner too for the horse to go under my pad. I also have bought ThinLine Stirrup Covers and the ThinLine Insoles for my shoes. Thank you ThinLine for saving my barrel racing career. You’ll never know how much it means to me. 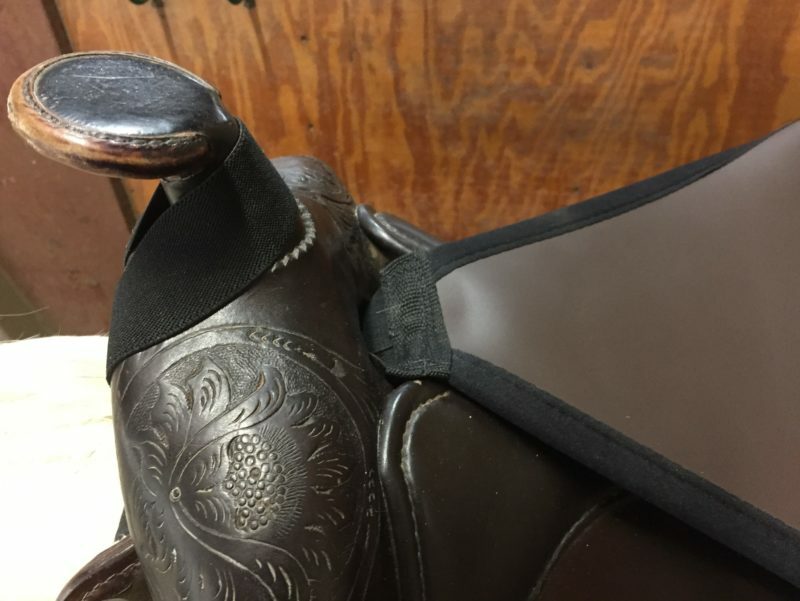 I ride a Bobs Custom reining saddle.The western seat saver does not fit in the seat correctly so the edged lining turns under my legs.The material is excellent,but would be much better if it stayed flat in the saddle seat. 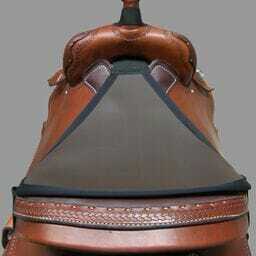 Q How about an English saddle?? A Thank you for your question! The seat saver has an elastic piece that fits around your saddle horn, along with another elastic strap that goes underneath your seat. Q My saddle "seat "is slippery will this help me stay put, I have put a barrel racer pad and it helps when my horse moves fast. Will this thin pad replace it?? A Can this be shimmed? I have a scoliosis issue and ride with too much weight on the right.